An electromagnetic pulse from a US radar station in the Pacific is being investigated as a possible cause in the malfunctioning of the Russian Phobos-Grunt martian probe. What began as an ambitious space mission to bring back samples from one of Mars’ moons, Phobos, has instead turned into an earthly detective story to determine the culprit behind the failed launch. A government commission inquiring into the performance of the probe, which returned to earth on Sunday, will test whether it was affected by US radars on its second orbit around Earth. 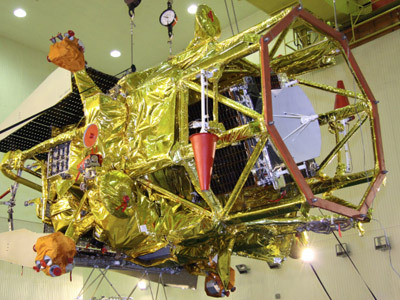 Led by Yuri Koptev – a former head of Russia’s space agency Roscosmos – the commission announced on Tuesday that it would stage an experiment, where a model Phobos will be subjected to radiation similar to that from US radars. “Experts do not dismiss the possibility that the probe could have accidentally come under the impact of emissions [from a US radar stationed on the Marshall Islands], whose megawatt impulse triggered the malfunctioning of on-board electronics,” Kommersant, the business daily, said on Tuesday, citing an unnamed source in the Russian space industry. The source also explained Roscosmos was examining other possible explanations, including the trajectory of an asteroid at the time of the Phobos-Grunt launch. The failed mission was more likely due to an accident than to a determined act of sabotage, the Kommersant source added. ­Did HAARP play a part? Although not specifically mentioned by the Russian investigation team, any investigation into radar bringing down a space probe would have to include the High Frequency Active Auroral Research Program (HAARP) observatory, established in 1993. The HAARP research station, located in Gakona, Alaska, is a hotbed of conspiracy theorizing. On this US Air Force-owned piece of real estate researchers periodically conduct high-energy experiments on the ionosphere, a layer of charged particles that extends up to 1,000 kilometers above the Earth. The conspiracy theorists, however, say the facility is up to pure mischief. Former Governor of Minnesota Jesse Ventura, for example, questioned whether the government is using the site to play havoc with the weather or to bombard people with "mind-controlling radio waves." Located in a remote, forested area of Alaska, HAARP consists of 180 antennas that occupy a rectangle of about 33 acres (13 hectares). The official conclusion is to be announced on January 26, Kommersant says. “The results of the experiment will allow us to prove or dismiss the possibility of the radar’s impact,” Koptev says. The mystery over the fall of the Phobos-Grunt has sparked the curiosity of not only the Russian space community, but also that of the country’s leading politicians. The mystery over the fall of the Phobos-Grunt has sparked the curiosity of not only the Russian space community, but also that of the country’s leading politicians. Indeed, the crash of the Phobos-Grunt probe appears to be the latest irritant in Russia-US efforts at a political reset. Deputy Prime Minister Dmitry Rogozin does not rule out the possibility that the launch of the Martian probe could have failed as a result of US radar impact. “This theory has a right to exist," he told reporters on Tuesday. Earlier, Rogozin vowed he would personally oversee the enquiry. “I am taking the investigation into the reasons for the Phobos-Grunt failure under personal control,” said Rogozin, who had been Russia’s envoy to NATO prior to his appointment to the current post last December. Some Russian observers are quietly leaning towards the conclusion that the United States, in a desperate attempt to cling to its superpower status – both on earth and in outer space – is willing to conduct acts of sabotage to do so. This opinion is reinforced by the fact that the US space industry, which witnessed its final space shuttle mission in July, 2011, is now forced to rely on Russian launches to maintain its presence on the International Space Station. This is certainly a blow to Washington's pride and prestige at a time when the condition of the US economy, combined with the astronomical cost of military adventures abroad, preclude further investment in space exploration. In light of these factors, it is reasonable that to expect that some individuals in Russia should suspect US involvement in the failed Mars mission, at least until proven otherwise. 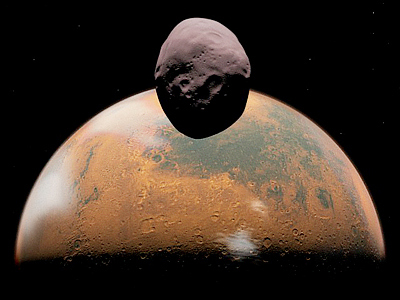 There had been high expectations from Russia’s space community that Phobos-Grunt, launched on November 9, would bring back rock and soil samples from the Martian moon Phobos. 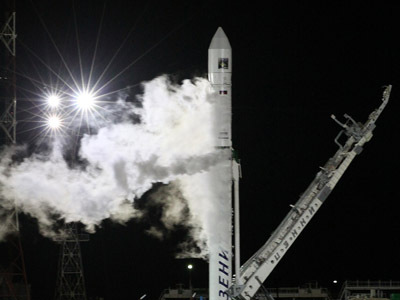 However, the probe’s rocket engines failed to put it on course for Mars, and it fell into the Pacific on Sunday. 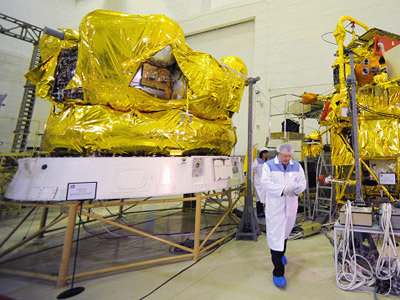 Russian efforts to reach the elusive Red Planet have been riddled with failure. 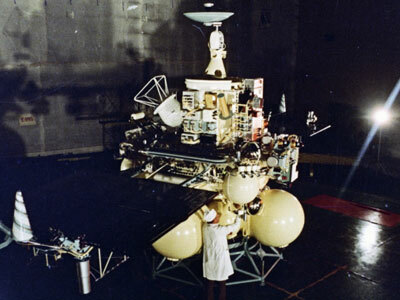 In 1996, Russia lost its Mars-96 orbiter during launch.